It must be frustrating being a witch, you spend the whole year being ignored but suddenly for one day, everywhere you look it’s witches, wizards and ghosts galore. Seriously annoying to find someone stealing your style, especially when they seem to get it so terribly wrong. 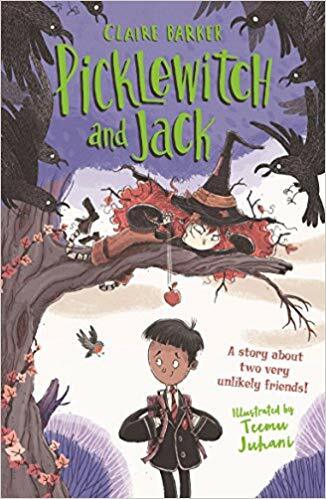 I sent our intrepid reporter Picklewitch, from the hilarious and heart-warming, ‘Picklewitch and Jack,’ on an investigative mission to work out what exactly is going on and with the help of the spooktacular Claire Barker they’ve created this ghouly report. Listen up whizzcrackers, coz Picklewitch is now speeking.*Coff*. Lately it has come to my attention that peeple (otherwise known as Boxies) have become very interested in all things witchy. All summer I’ve been wearing my pointy hat, putting up with rood questions from dreadful strangers. ‘Take it off’ sez Jack ‘You’re so embarrassing’. ‘NO’ sez I, coz I is proud to be a witch all the time, even on the beach. But now it’s autumn and suddenly everyone wants to look like me. I asked Jack why, and he said it was because of something called Halloween. Well, I was SO cross, steam squeaked out of my ear’oles! ‘What about the rest of the year?’ sez I, ‘witchery is a full-time job; you can’t burst in and out of it like a sneeze. I’ve got a certificate!’ I knew he was scared because he gave me his pumpkin muffin. And it is troo; it DID make me feel nice and peeceful straight away. Yum. Still, it’s not right, coz it’s all wrong. For example, wot about all these pictures of witches with cats? CATS ARE FUDGENUTS. And why are they wearing dresses when it’s perfectly obvious to anyone with eyes that I wear dungarees. WHERE is their spider pocket? WHERE is their cake flap? Also, why is they always carrying brooms about? They need to be counting the cheeky sparrows in their hair, or dancing with the magpies or summoning the storm wolf not sweeping. Kleening is for Boxies, in their houses full of fandangling trumpery. But, twelve cakes later, I have reconsidered. I remembered that manners is important to witches. Therefore I have decided to share my expertise, instead of turning everyone into wonky-eyed gibbons. * Do I live in a tree? * Do I smell of mushrooms? * Am I the best friend ever? * Am I always, always right? Thank you to the fabulous Picklewitch and Claire Barker for this whizz-cracking Halloween report with their top tips on working out if you is a real witch or just an ordinary boxie. 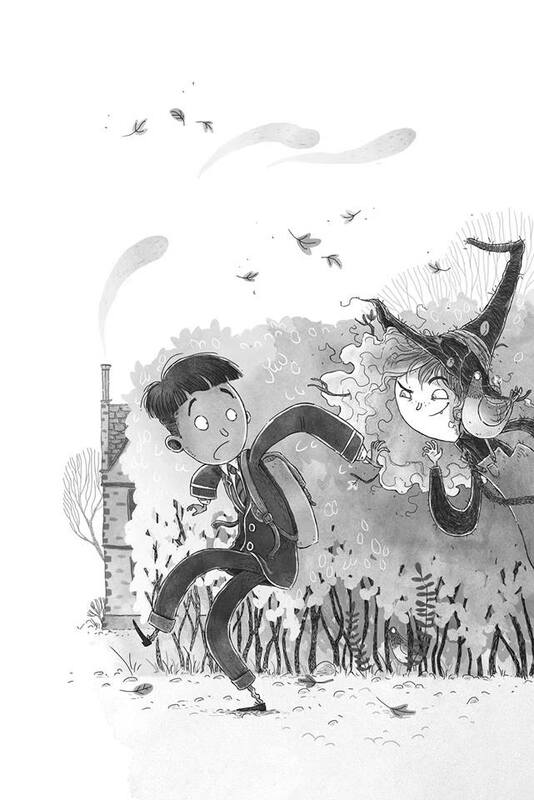 If you want to find out more about the mischief Picklewitch gets caught up in, ‘Picklewitch and Jack,’ by Claire Barker, illustrated by Teemu Juhani is available online now and from any good bookshop. Faber have a fabulous activity pack to entertain your little witches and boxies available here. This entry was posted in Uncategorized on October 31, 2018 by bookloverjo. It’s hard to believe that this time last week I was lying by a pool sunbathing while today I’m wrapped up in many layers as a crisp and cold Autumn has descended upon us. This gorgeous weather allowed me to catch up with some of my overflowing to be reviewed pile, which is taking over my study at an alarming rate. Today on the blog I’m sharing five books that made me laugh, cry, gave me serious chills and left me thoroughly entertained. 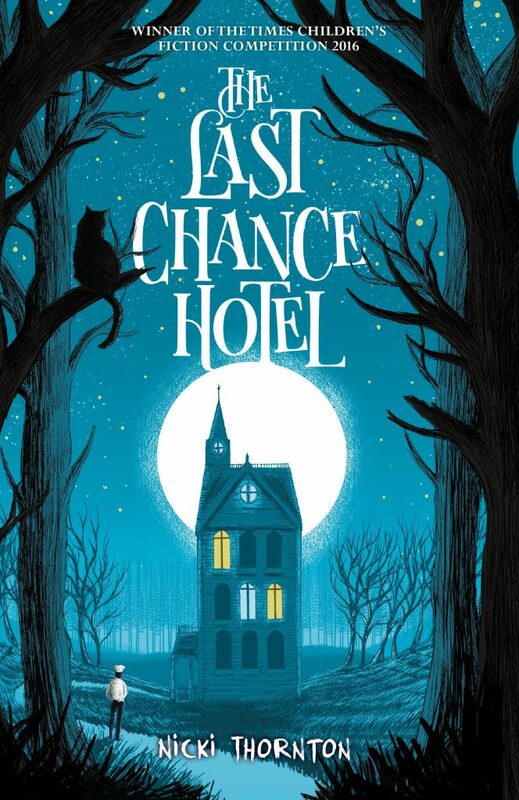 Matt Saunder’s hauntingly beautiful cover invites the reader to step inside, ‘The Last Chance Hotel,’ hinting at the darkness and secrets that lie within. Seth lives a lonely and wretched existence tied to the Last Chance Hotel, where the owners seem to delight into making his life miserable. Tied by his father’s debt he seems doomed to this terrible life, but fate steps in when one night a strange gathering of extraordinary people arrives for dinner. Dr Thallomious takes a kind interest in him but when he is poisoned by the special dessert that Seth created he becomes the main suspect. Seth senses that there is a weird magic afoot that could help solve the mystery and clear his name. Filled with magic, mystery and mayhem this story will cast a spell over you and completely confuse your mind so that you will be unable to discover who is the real culprit. Original storytelling meets wonderful characterisation in this compelling debut from Nicki Thornton. Thoroughly engaging and entertaining, I devoured it in one setting. I’m really drawn to children’s stories that are set during the World Wars, after hearing about history through the eyes of a grown up world, I have a real fascination for seeing these stories from a child’s perspective. 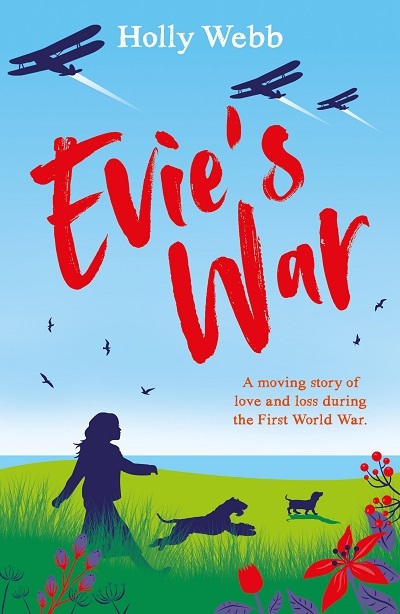 In ‘Evie’s War,’ Holly Webb takes us on an emotional journey with Evie whose family is in turmoil after the tragic death of her younger brother Alexander. They are all internalising their grief making it incredibly difficult for them to move on, this is compounded by the break out of World War One. Everything in their lives is turned upside down as young men – including her brother David – enlist in the army, maids seek employment in the ammunitions factory and they bear witness to terrible events. She soon discovers that they must all find a way to make the necessary but difficult choices to support the war effort. An emotional rollercoaster of a story that highlights brilliantly the effect war has on everyone. I think it’s so important that we still remember and honour the sacrifices that this generation made, the horrors that they experienced and the lasting impact that it had on theirs and their families lives. This story beautifully conveys this pain and heartbreak of love and loss so movingly. So, ‘The Train to Impossible Places,’ is one of those mind-boggling reads that plays tricks on your thoughts. In a world that defies gravity, confuses your perceptions and challenges everything you thought was impossible, you find yourself smack bang in the middle of the aptly named Impossible Place. When Suzy finds a troll digging a railway track in her hallway one day, her inquisitive mind can’t resist jumping aboard when the gigantic steam train flies by. But this is no ordinary train but the fastest mail train in the universe. Little does she know that she’s about to embark on a magical journey of a lifetime where she will meet talking frogs, bright yellow bears and friendly trolls whilst facing the most dastardly and fearsome Crepuscula and holding the fate of the Impossible Places in her hands. Flavia’s enchanting illustrations capture the chaos and carnage brilliantly. Fast, furious and filled with fun and frenetic action, climb aboard for a breath-taking ride that will take you beyond your wildest imagination. The demand for high action, dark adventures appears to be growing at my school. I’m regularly met with demands for the scariest, darkest book that I can lay my hands on. ‘Murder in Midwinter,’ by Fleur Hitchcock is always a go to book, that comes with a warning, ‘not for the easily scared,’ and I can confirm that her latest book, ‘Murder at Twilight,’ is another dark and dangerous adventure. When Viv’s arch-enemy the spoilt Noah goes missing and spots of his blood in her Mum’s car lead to a false charge, she knows she must endeavour to uncover the truth. Little does she know that she is about to get caught up in an deadly conspiracy in her hunt for Noah, leading to a terrifying chase that could have fatal consequences. Fast-paced, thrilling and filled with numerous twists and turns, this edge of your seat adventure will satisfy the most ardent of murder mystery fans. A huge thank you to Chicken House, Nosy Crow, Puffin, Scholastic and Usborne for sending me copies of these books. 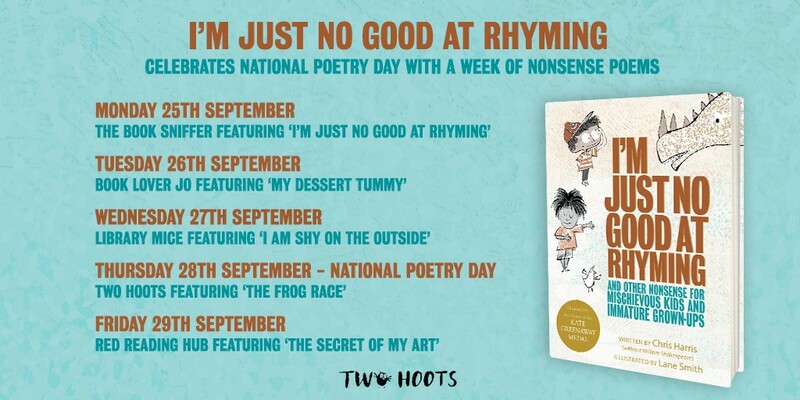 All of these books are available to buy now online (click on the title) or from any good bookshop. This entry was posted in Uncategorized on October 30, 2018 by bookloverjo. If you haven’t already discovered the world of ‘Football School,’ then you are missing out on a huge treat. 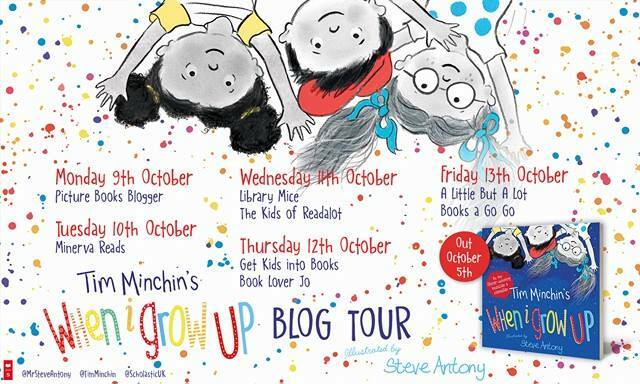 Looking for a series to engage your reluctant readers, then look no further! 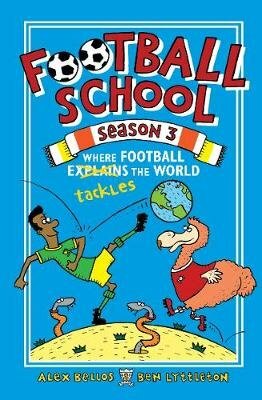 The third book in the series, ‘Where Football Tackles the World,’ is jam packed with fascinating and funny facts to satisfy the appetite of the most curious of children. You can learn the maths behind the coin toss, find out who stole the world cup, discover why a good night’s sleep is essential for peak performance and meet animal mascots from all around the world. It also includes a chapter written by Nadia Nadim, on women’s football which is just brilliant as I have an army of girl football players at my school. A brilliant mix of intriguing information and highly amusing illustrations by Spike Gerrell make these books really irresistible and engaging. Today it’s my stop on the ‘Football School,’ blog tour and I have a special guest post on a subject very close to my heart, ‘Reading For Pleasure.’ As a school librarian my main focus and drive is to find the right book for a child that will turn them into a book lover, the book that will open the door so they begin their reading journey. I was interested to discover that developing the love of reading was at the heart of creating this fabulous series. 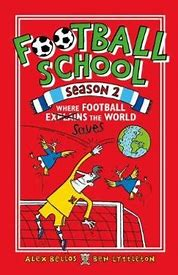 The idea of the Football School books series began as a way to get children to develop a love of reading and a curiosity about the world. We knew from studies by the National Literacy Trust that lots of children stop reading around 7 or 8 and it’s a big concern for schools. We believed that one way to get kids at Key Stage Two level reading again was to provide them with a book on a subject they felt passionate about – and that’s the age when many children really get into football. Football School explains the world through the prism of football. We have been inspired by stories of parents and educators who have told us of the book’s positive effect among their children. One parent came up to us after a festival talk and thanked us for writing the breakthrough book for her child. She had been frustrated that he had not wanted to engage with any books, but since picking up Football School, something clicked and he understood the joy that reading for pleasure could bring. We know the many benefits reading can bring: not just improved educational results, but also self-confidence, better vocab, better imaginative and analytical thinking but above all, introducing children to the simple joy that reading as a form of pleasure can bring. Football is a subject that kids get so passionate about, that we want to transfer that into a passion for the page. Football is more than a sport, it is one of the most important manifestations of popular culture on the planet. It has clear links to science (biology, ballistics, statistics), humanities (a rich history and wide geographical reach) and arts (the drama of a great game, the fashion of the players and the songs that are sung). In our books we have also shown the link with astrophysics, religious studies, philosophy, zoology, botany and much more. Another important message in the books is how everything in life is interconnected, and that can help children to see the world (and their studies) in a much more holistic way. We continue to do live events at schools and work with literacy charities and football clubs’ community programmes to spread the message that children can read for pleasure and learn about the world at the same time. We can’t promise that reading Football School will make children better players – but they might become smarter ones! Thanks to Alex and Ben for this really insightful blog post. You can check out their brilliant website for fun resources and activities. 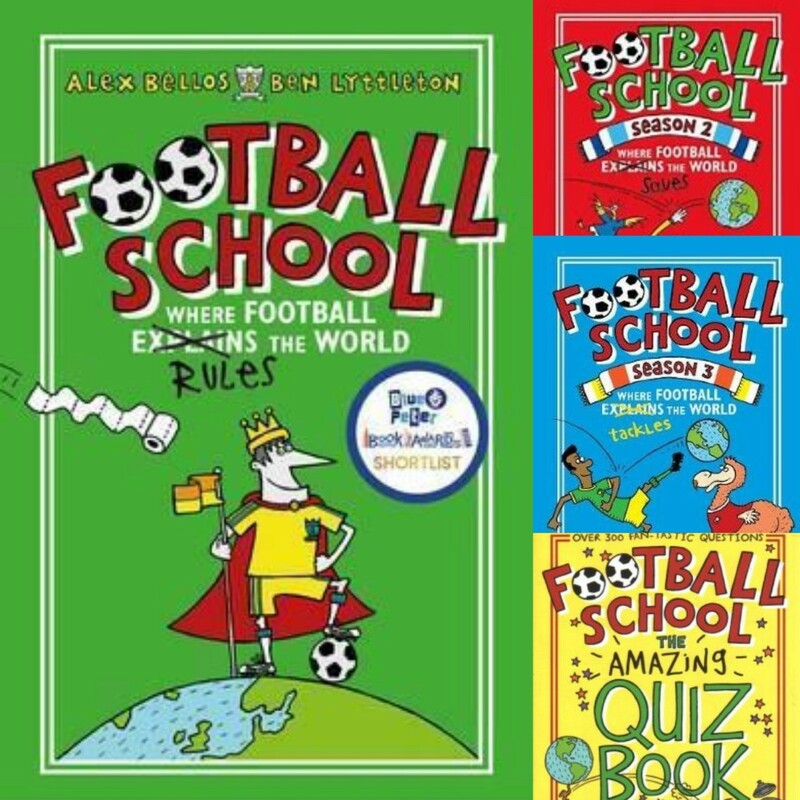 You can win a set of all 3 ‘Football School,’ books and a quiz book over on Twitter by retweeting my pinned tweet or by commenting on the blog, or do both for an extra enty. Giveaway ends 27th October UK only. Thanks to Jo and Walker Books for sending me the ‘Football School,’ series. ‘Football School: Where Football Tackles the World,’ is available to buy online now or from any good bookshop. 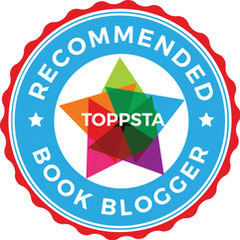 This entry was posted in Uncategorized on October 19, 2018 by bookloverjo. I’ve long been a fan of Eloise Williams’s writing from the delightful, magical tale ‘Elen’s Island,’ to the irresistibly gothic, ‘Gaslight,’ she has a natural gift for storytelling creating tales that really capture your imagination. So I was intrigued to read her latest book, ‘Seaglass,’ which promised to be a chilling ghost story and it certainly delivers on this promise. It’s really unusual for a ghost story to have a contemporary setting, they tend to be featured in historical stories which is more reassuring for the reader, it puts the possibility of ghosts at an arm’s length away, making it less frightening. But more and more I am asked at school for the most scariest story I can recommend and I have to say, ‘Seaglass,’ fits the bill perfectly. Lark and her family are troubled. Her Mum is ill, her sister has stopped speaking and she knows something is wrong but everybody ignores it, allowing her imagination to run riot, fearing the worst. Strangely they seek refuge from their troubles at a caravan park in the half-term holidays, a bleak place that seems to reflect their mood accurately. But Lark’s family is inextricably bound to this place and their presence soon stirs up the past, threatening to expose a long-buried family secret. With the appearance of mysterious girl in a green dress who is inexplicably drawn to her sister, Lark realises they’re in terrible danger. As the weather gets wilder and events become more stranger and disturbing, Lark must try to discover the truth in order to save her family. Deliciously dark, ‘Seaglass,’ is not for the faint-hearted. I must confess that I am easily spooked and reading this at bedtime definitely gave me serious chills. Eloise has created once again the most intriguing characters, managing to deal with real life feelings and issues empathetically then sprinkling it with supernatural twists to create a genuinely scary ghost story. You can feel Lark’s emotions raging as she comes to term with the changes in herself, whilst trying to keep her family together, all the while convinced that she knows the terrible truth that her parents are hiding from her. By linking the appearance of the ghost to her family’s past it makes the story feel more believable, which in turn heightens the tension making it feel more dramatic. Eloise also explores the disturbing consequences of prejudice and how being different exposes you to people’s fear of the unknown, highlighting how easy it is for hate to be stirred up and for events to get out of control. 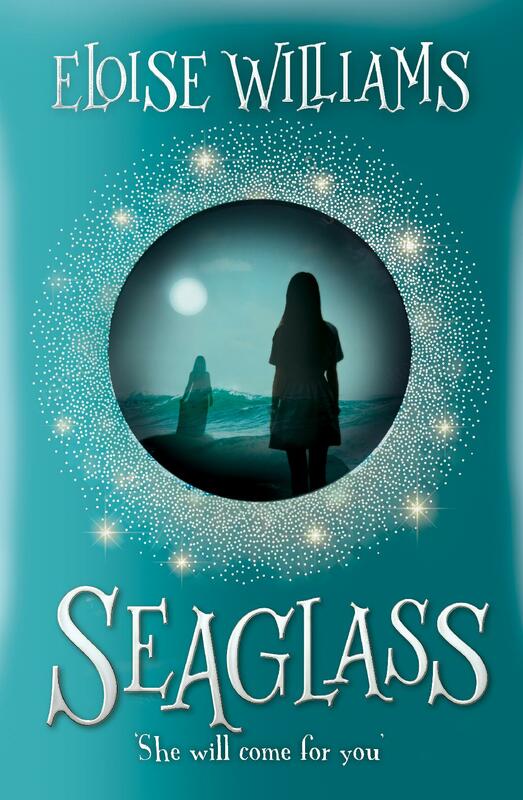 Haunting and heart-breaking in equal measures, ‘Seaglass,’ is a satisfyingly scary read. Thank you to Firefly Press for sending me a copy of this chilling story. ‘Seaglass,’ is available to buy now online or from any good bookshop. This entry was posted in Uncategorized on October 17, 2018 by bookloverjo. 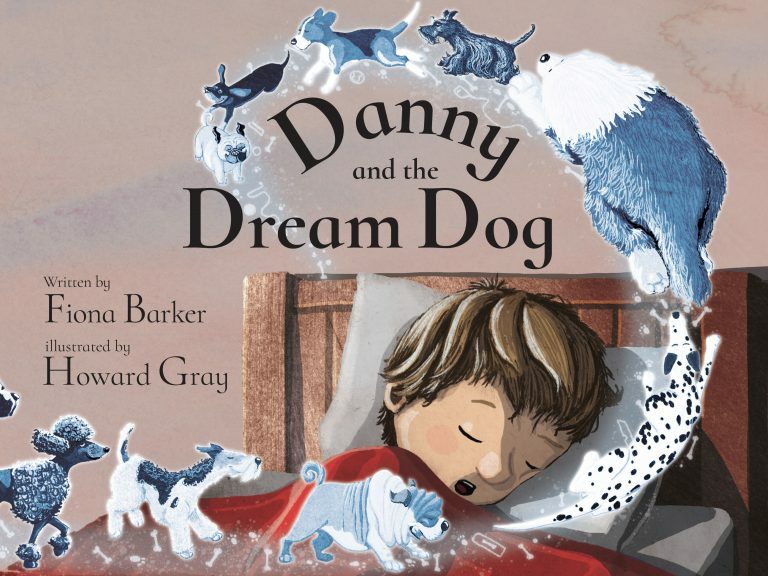 Today I am delighted to be kicking off the blog tour for, ‘Danny and the Dream Dog,’ the beautiful picture book written by Fiona Barker and illustrated by Howard Gray. 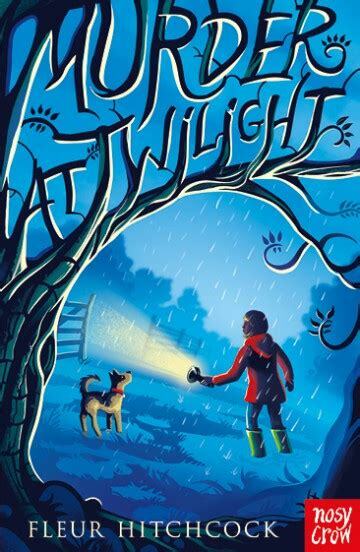 This charming tale tells the story of Danny who is desperate to have a dog of his very own. Despite his continual pleading and his brilliant ability to look after his toy dog, his Mum refuses as the dog would be left at home all day. Down hearted and dejected Danny soon finds himself getting a chance to fulfil his dream when a new neighbour moves in and needs someone to walk her dog. 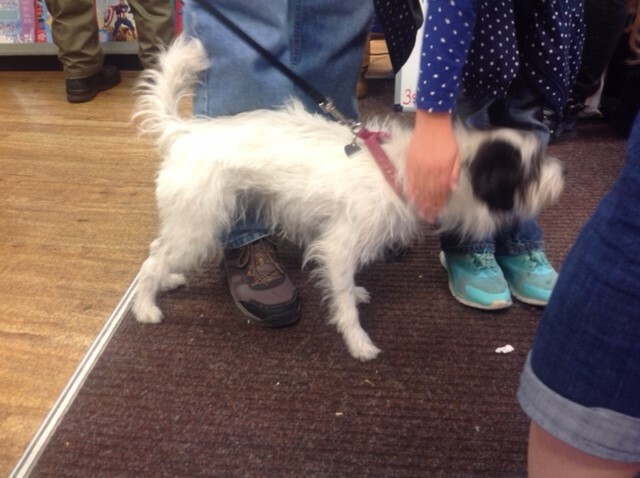 Danny’s enthusiasm is dampened when he meets Maximus and discovers that he is far removed from his idea of a dream dog. Rabbit loving, sausage stealing Max seems to cause mischief and mayhem wherever he goes causing Danny more misery. But soon he recognises that whilst owning a dog may not be as easy and fun as he first thought, it’s so much better than an imaginary dog. Heart-warming and humorous in equal measures this story is just wonderful, leaving you with a warm glow inside. Howard’s delightful illustrations capture the ups and downs of this relationship perfectly. A touching story about finding friendship in the most unexpected of places. When you see a finished book, it can be hard to imagine it being any other way. But anyone who has ever written anything will tell you that there is a process of evolution. It can sometimes feel like revolution! 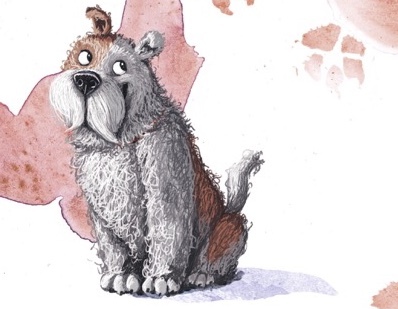 I’m going to let you in on a few secrets about how the characters in Danny and the Dream Dog ended up as they are. First, of course, there is Danny. He started as a girl. This story began as a sequel to my first self-published story Amelie and the Great Outdoors. So, it was going to be Amelie and the Dream Dog because the inspiration came from my own daughter, Amelie, really wanting a dog. But the alliteration with Dream Dog works much better with a D name and as I’d already got one story about a girl, I thought I’d give a boy a go this time. So, Amelie became Danny. Next up is Max. Max’s appearance didn’t change at all. I had a clear idea of what I wanted him to look like and Howard captured him perfectly straightaway. I did send him lots of photos of random suitable dogs that I met in the street or at fetes. Very sorry Howard! Max started out as Donald though. I still like the name and I do think it suited him. But during the editing/feedback process it was pointed out that Danny/Donald might be a bit confusing and so I had to look around for another name. I did lots of research into popular dog names. In the end I decided on Maximus because he quite clearly isn’t and I thought that was funny. But I am very easily amused. And last up is Mum. At the start of this story there is just Mum and Danny. We don’t know what happened to Dad and funnily enough I never thought about that. He just isn’t around and the fact that it’s just the two of them and they’re both out during the day is one of the reasons why they don’t have a dog at the start of the story. I did think a lot about Mum though. She’s a librarian. Howard hid one or two clues about her love of books in the illustrations. Top marks if you can spot them. And one of the sub-plots of the story is about pets, especially dogs, connecting people. 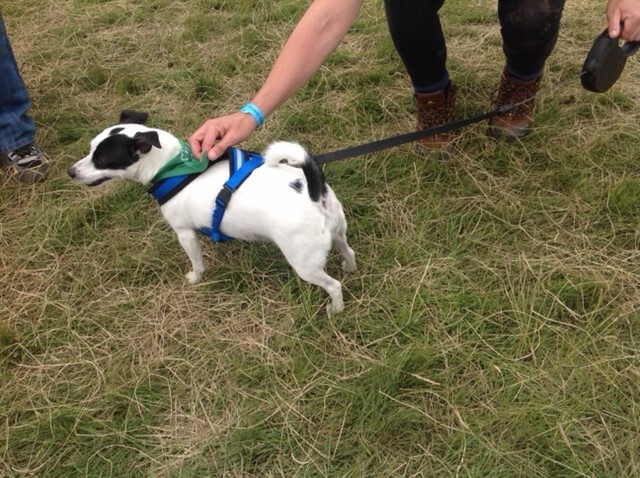 Danny meets lots of new people in the park through Maximus’ adventures. 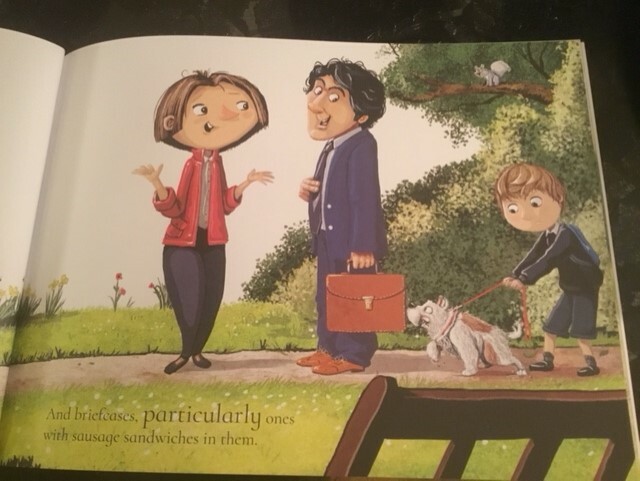 One of them is sausage-sandwich-man. In my head, Mum and SSM strike up a friendship which blossoms into a beautiful relationship. 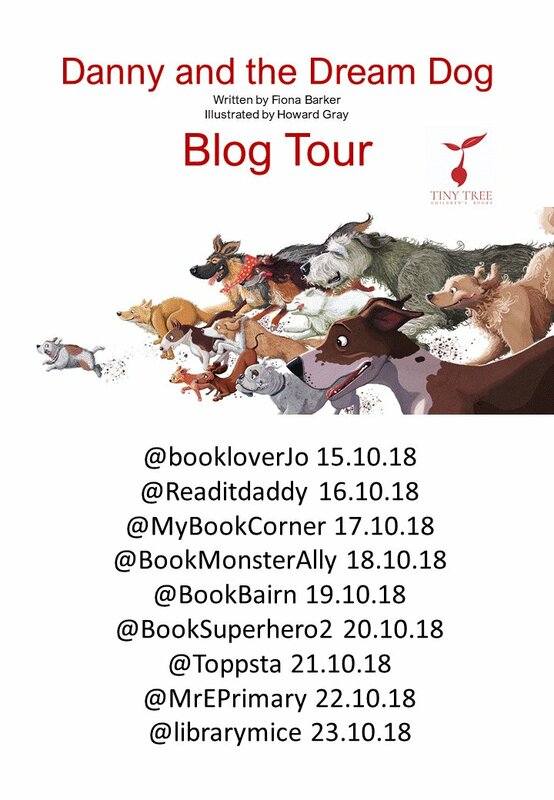 I really hope you enjoy reading about how Danny finds his dream dog and that it doesn’t put you off to think that it might have been about Amelie finding Donald! 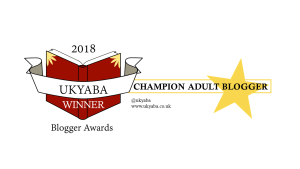 Thank you to Fiona for this lovely blog post, I’m particularly happy about Mum being a librarian and I managed to spot a lovely book tote and the books on the table. 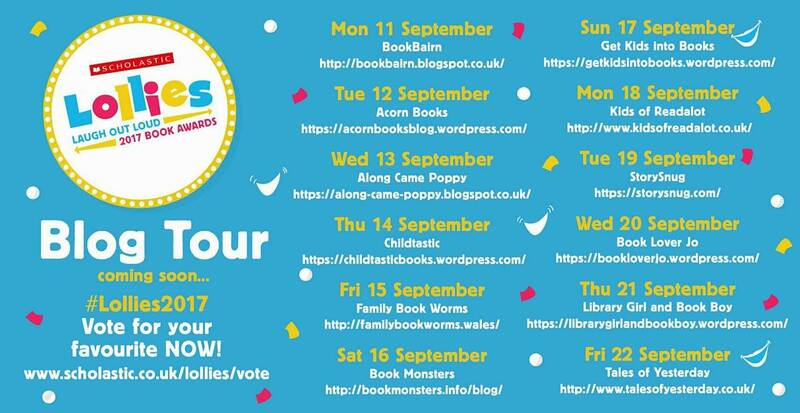 Why not join in with the rest of the blog tour for more reviews and guest posts. Thanks to Fiona for inviting me to join in with the blog tour and to Tiny Tree for sending me a copy of this gorgeous book. 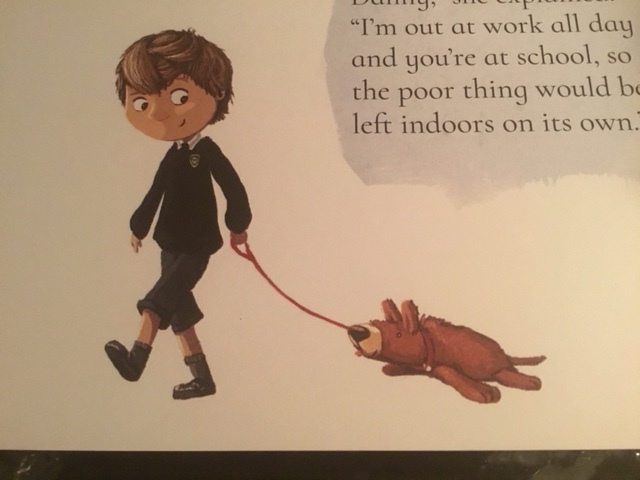 ‘Danny and the Dream Dog,’ is released on October 25th and is available to pre-order online or from any good bookshop. This entry was posted in Uncategorized on October 15, 2018 by bookloverjo. It was with great excitement that I got my hands on an early copy of the sequel to Jessica Townsend’s stellar debut ‘Nevermoor: The Trials of Morrigan Crow,’ there was a small tussle between me and my youngest daughter over who would read, ‘Wundersmith,’ first and I’m ashamed to admit I won the battle. We had both fallen head over heels with Morrigan Crow and the world of Nevermoor, in fact it featured in my top nine middle grade reads last year beating some incredible books. Of course with great anticipation comes a risk that the sequel will not live up to your expectations but fear not, I soon found myself once again totally immersed in Nevermoor, as Jessica whisked my away on a thrilling, nail-biting adventure filled with danger and twists at every turn. Morrigan is the kind of heroine that I adore, flawed, headstrong and downright fierce. A girl who has grown up in the shadows with everyone around her whispering about her curse and not seeing the true person that lies inside. When she arrived in Nevermoor she finally found a place that she could call home, a place where she belonged and could be accepted at last. Sadly despite winning a much coveted place to the Wundrous Society, entry hasn’t delivered all that it has promised and when her class discover that her special power is being a Wundersmith, she is shunned once again. Instead of helping her to embrace her power she is taught that all Wundersmiths are evil and that she will inevitably pose a huge risk to society unless she suppresses her talent. Nevermoor is no longer a place of comfort for Morrigan, society members are going missing, her patron Jupiter is away on a top-secret mission and someone is blackmailing her class threatening to expose her true identity. Feeling lost and alone she becomes vulnerable to the lure of the evillest man who has ever lived, Ezra Squall. Can Morrigan resist his advances or will she succumb to the calling of the Wunder? Jessica’s creation of Nevermoor is world-building at its very best, there is so much incredible detail which allows the reader to conjure up Morrigan’s world so easily in their imagination. It has a cinematic quality that I find totally enthralling and captivating. I still get a thrill every time Morrigan and Jupiter leap aboard the Brolly Rail platform, umbrellas perfectly synchronised to hook on at the exact moment to be swept away through a maze of rails to their destination. I love how Morrigan’s ‘Decoding Nevermoor,’ class allows the reader to discover more about the unpredictable elements of the city. By personifying Nevermoor, she gives us an indication of how challenging it is for Morrigan to simplify navigate the city and how easy it is for her to be drawn into dark and dangerous places. It really is a wild beast that must be tamed. This is a story that I could talk to you about for hours, it has so many nuances and charms that just delight me in so many ways but I must allow you to discover this world for yourself and I really hope that you do! Intoxicating, magical and utterly brilliant it was everything I hoped it would be and more, a real feast for the imagination. Thanks to Dom and Orion Books for sending me a copy of this remarkable story. 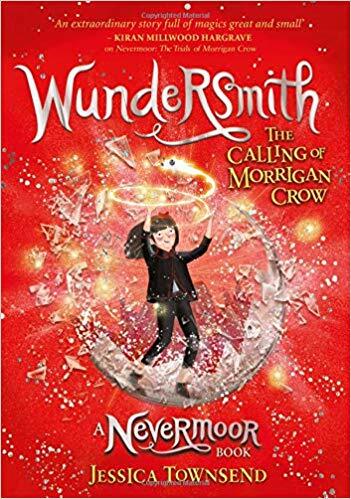 ‘Wundersmith: The Calling of Morrigan Crow,’ is released on the 30th October and is available to pre-order online or from any good bookshop. This entry was posted in Uncategorized on October 14, 2018 by bookloverjo. I’m a huge fan of mystery stories, I wait patiently for the next instalment in a series to be released and try to follow the clues and solve the mysteries before the culprits of the crime are identified. There are so many fabulous middle grade series of books from the wonderful ‘Murder Most Unladylike,’ by Robin Stevens to the brilliant ‘Sinclair Mysteries,’ by Katherine Woodfine. 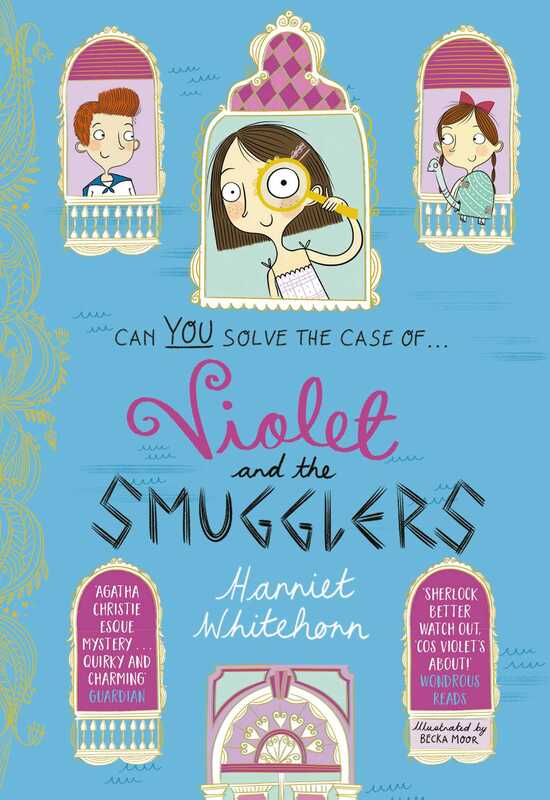 But luckily for young detectives getting ready to move on from Clara Vulliamy’s fabulous ‘Dotty Detective,’ series and Kate Pankhurst’s ‘Mariella Mysteries,’ we have the marvellous ‘Violet,’ books written by Harriet Whitehorn and illustrated by Becka Moor. Exquisitely produced and sublimely illustrated these books are a real thing of beauty. 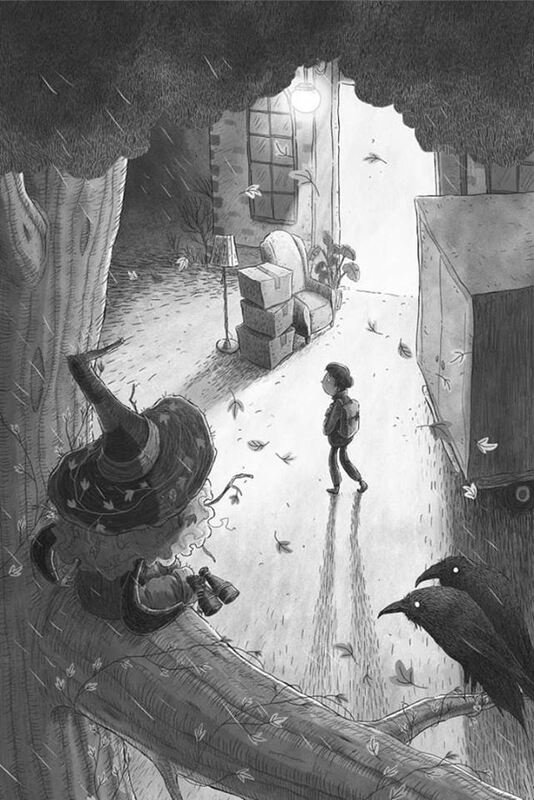 The attention to detail in Becka’s illustrations is completely delightful, she captures the sense of mystery and the subtle humour brilliantly. You can feel the love and care that has gone into each detail and illustration that is scattered throughout the books. Today on the blog I’m going to be sharing with you a flavour of all of the books in this intriguing series. Filled with the most marvellous eccentric characters and beautiful descriptive writing these are the most sublime adventures, I can’t recommend them enough. 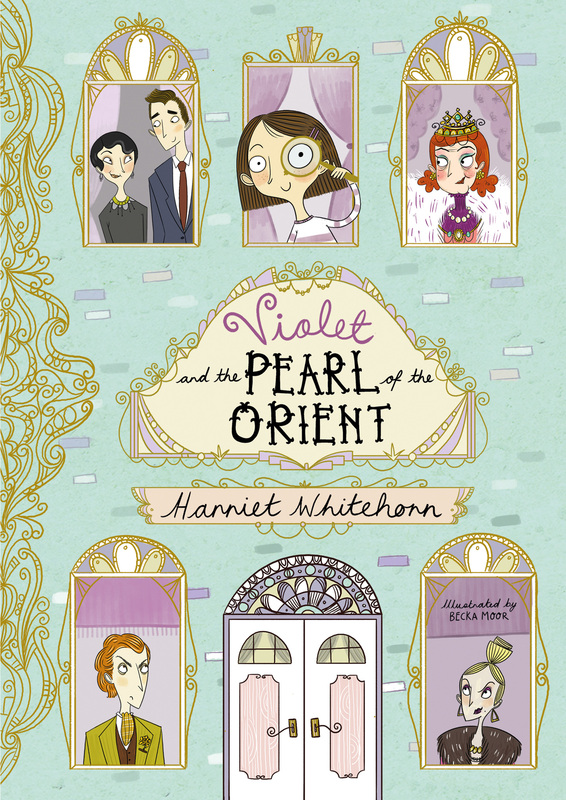 ‘Violet and the Pearl of the Orient,’ introduces the reader to the quick witted and smart Violet. You know Violet is not your ordinary type of girl when you learn that she lists speaking fluent French, mixing a perfect cocktail and playing poker as some of the unusual things she has learned in her life so far. She’s the kind of girl who notices when strange things are afoot, so when the Count and Countess Du Plicitous move into her neighbourhood she finds them very odd and fails to fall for their charms like all of the grown ups. When her fabulous neighbour Dee Dee Derota precious jewel is stolen Violet suspects that the Count and Countess are to blame. Of course nobody will listen to the protests of a small girl, so it’s up to Violet and her friends to come up with a cunning plan to expose the thief. A brilliant mix of bumbling adults and keen eyed children make for a truly enjoyable story that will entice and entertain mystery lovers. 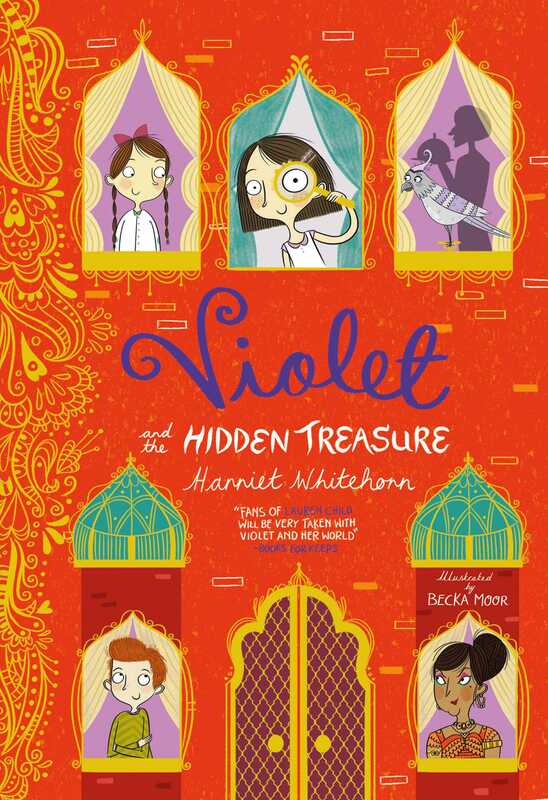 In ‘Violet and the Hidden Treasure,’ we are transported to India where Violet is on holiday with her godmother Celeste. Harriet tantalises all of our senses to give the reader a real flavour of the country, from delicious food, brightly coloured silk clothes to intoxicating scents we can see why Violet falls in love with India. On her travel she meets the Maharajah and his faithful companion the lively parrot, Maharani who takes a real shine to her. 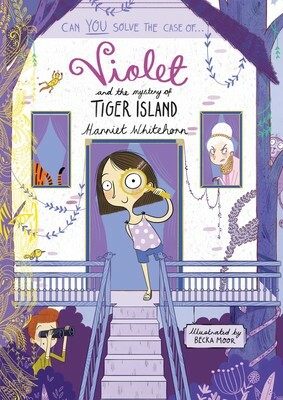 Back home Violet is surprised to discover the Maharajah’s butler on her doorstep asking her to look after the parrot. Strangely the parrot holds the key to the Maharajah’s fortune and someone is out to bird-nap her to get their hands on the treasure. Can Violet and her friends discover the true culprit before the treasure is lost forever. This case proves to be more tricky to solve, with very little clues, numerous suspects and the crime-solving matrix that they usually rely on proving to be little help. Violet and her friends must use all of their skills to create a scheme that will outwit the crafty adults who will stop at nothing to get their hands on the treasure. Exciting and enthralling, full of twists and turns this is an absolute gem of a read. With two solved mysteries under their belts Violet and her friends are always on the lookout for wrong doing wherever they go. So when Violet’s Uncle Johnny invites them on a sailing adventure you know it won’t be long before they find themselves in the middle of another crime. Our young friends might have bitten off more than they can chew this time, when they find themselves caught up in a smuggling ring and they don’t know who they can trust. Their plans are constantly thwarted by well meaning grown ups who don’t think children should get mixed up in dangerous crimes but unable to resist they are determined to find out who is the ringleader. Harriet has a brilliant ability to allow the reader to feel like they have been whisked away on these adventures, we are given a real sense of the place. I particularly love the celebration of the joys of Italy in the wonder of Violet and the huge variety of ice-cream flavours available, these are the kind of nuggets that fascinate children. A little bit more dangerous and thrilling than previous adventures, our friends are really put to the test in the complex and exciting case. 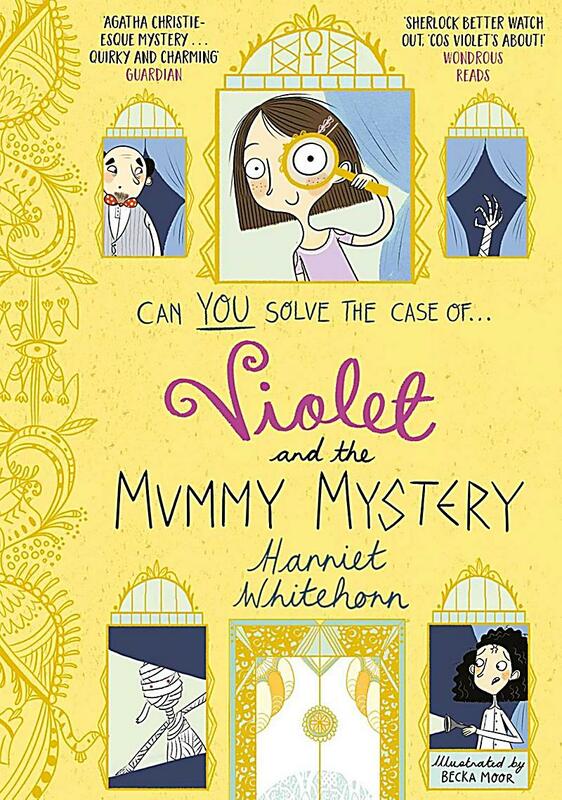 I have long been fascinated by Ancient Egypt and the pyramids so was really looking forward to embarking on an Egyptian adventure with Violet and her friends in ‘Violet and the Mummy Mystery,’ and I wasn’t disappointed. When Violet receives a postcard from Cairo sent by her Aunt Mathilde a famous Egyptologist she is thrilled to discover they are coming to visit. Her aunt thinks she has found a link between an Egyptian Mummy and the unknown whereabouts of Queen Nefertiti. But disaster strikes when the Mummy is stolen from the British Museum, who is behind the Mummy-Napping? 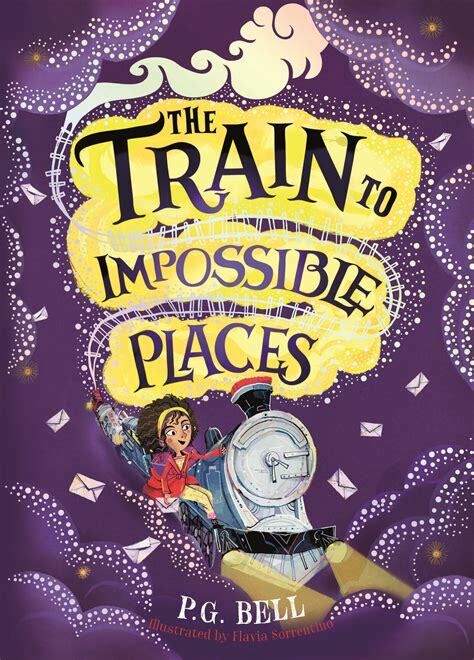 It’s up to Violet and her friends to navigate a confusing array of clues, an alarming amount of suspects and some dastardly grown ups in order to save the day. A real page turner of an adventure, that keeps the reader on the edge of their seat to the very last page. How do you convey the enormity of travel to a child? If you say a story takes place on a tropical island how do you explain just how far your characters have travelled? Well in the case of ‘Violet and the Mystery of Tiger Island,’ Violet and her friends travel by the Tube, a train, a big aeroplane, a small plane and a speedboat! You can imagine how excited they are to undertake this incredible journey to celebrate their friend’s wedding. 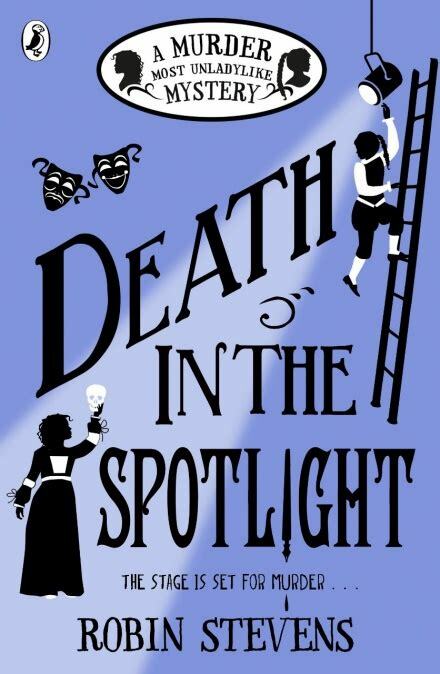 It wouldn’t be a trip without an element of mystery thrown in, so when they unexpectedly bump into their old enemies the Count and Countess Du Plicitous they have a feeling that a crime is bound to happen. Sure enough a valuable statue is stolen, so obviously they must be guilty. But Violet and her friends should know better, things and people are not always as they seem and the obvious answer is not always the right one. With everything at risk and a hungry tiger on the loose, it’s a race against time to make sure the big day goes to plan and the real criminal is discovered. A charming end to a brilliant series, I have totally fallen in love with this wonderful cast of characters and stories. 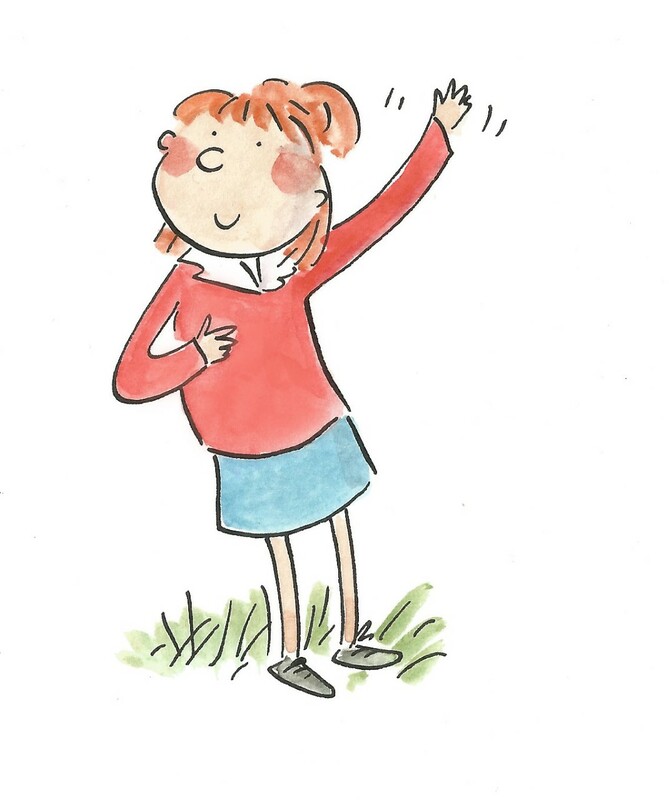 Harriet and Becka have created a series that will surely captivate the hearts and imaginations of children. Superbly written with gorgeous illustrations they are a real treat for any would-be detectives looking for a tricky case to solve. Thank you to Olivia and Simon and Schuster for sending me copies of the entire Violet series, I have thoroughly enjoyed reading them. All of these wonderful books are available to buy now online (click on the title to buy) or from any good bookshop. This entry was posted in Uncategorized on October 10, 2018 by bookloverjo.